For individuals tasked with ensuring their organizations are PCI complaint, challenges are ever present. The delicate balance of achieving PCI Compliance while ensuring there is no disturbance in day to day operations of a security program is what separates experts from practitioners. 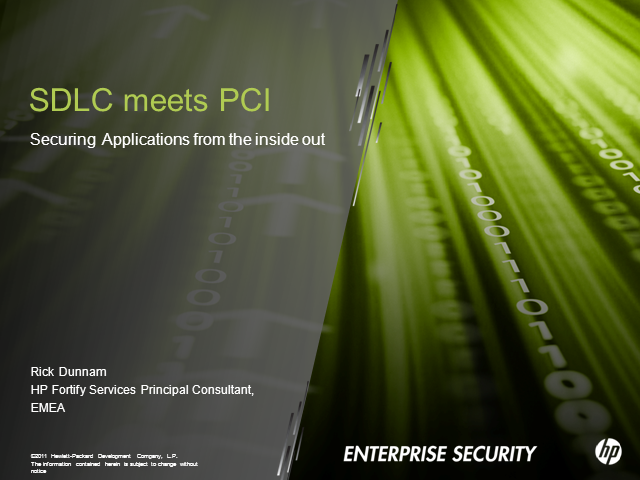 This web seminar will give attendees the expert’s guide to reviewing PCI requirements for secure application development and will detail how HP helps partners not only meet these requirements but to also solidify the future of a security program by securing applications from the inside out.